Free agent shortstop Alexei Ramirez has agreed to a one-year contract with the San Diego Padres, pending a physical. 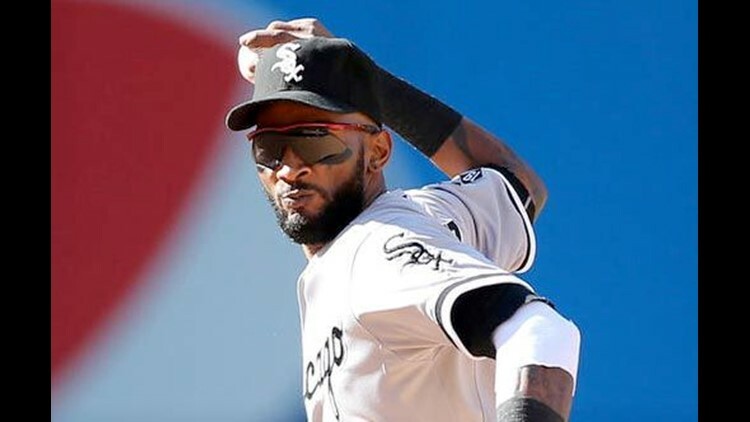 SAN DIEGO (AP) - Free agent shortstop Alexei Ramirez has agreed to a one-year contract with the San Diego Padres, pending a physical. Also on Thursday, the Padres signed free agent pitcher Carlos Villanueva to a $1.5 million, one-year deal. The team avoided salary arbitration with catcher Derek Norris and left-hander Drew Pomeranz. Norris, an All-Star in 2014 with Oakland, agreed to a $2,925,000 contract. Pomeranz, who made $517,500 last year with the Athletics, got a $1.35 million deal. The 34-year-old Ramirez had spent his entire eight-year career with the Chicago White Sox. Upgrading at shortstop was one of San Diego's top offseason needs. Alexi Amarista made 78 starts there last season and Clint Barmes made 51. Ramirez was an All-Star in 2014. His average dropped to a career-low .249 last year. Villanueva was 4-3 with a 2.95 ERA and two saves in 35 relief appearances for St. Louis last season. The right-hander gets a $1.25 million salary and a $250,000 signing bonus payable on Jan. 15, 2017. He can earn another $500,000 each for making 10, 15, 20, 25 and 30 starts; $250,000 each for 30 and 40 relief appearances; $500,000 each for 50 and 60 relief outings; and $500,000 each for 40, 50 and 60 games finished. San Diego also selected the contract of left-hander Ryan Buchter and granted right-hander Marcos Mateo his release from the 40-man roster for the purpose of playing in the Japanese Central League.